In this episode, Montana Ray interviews historian, theorist, and translator Lawrence Venuti on how, by way of theory and practice, he has come to view translation as an interpretive, figurative act. Approaching the question of “what kind of figure do you want to create?” Larry discusses how the hybridity of his own mother tongue is registered in his translations; how he strives to create readerly fluency using a writerly translation technique; and the intertexts he has created for various translation projects (Antonia Pozzi, IU Tarchetti, Ernest Farrés) by sampling from a variety of relevant English(es) in an experimentalist approach first practiced and discussed by Pound. With original poems and music by Ernest Farrés, Lluís Llach, and the Stepping into Catalan Music Project, as well as translations by Lawrence Venuti of poems by Ernest Farrés and J.V. Foix. 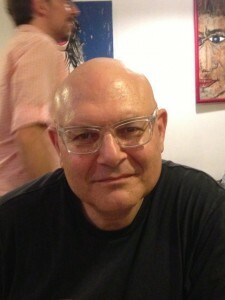 Lawrence Venuti has translated over 15 books, including Edward Hopper by Edward Farrés (Graywolf Press, 2009), selected by Richard Howard for the Robert Fagles Translation Prize. He is a professor of English at Temple University, the editor of a foundational anthology in translation studies, The Translation Studies Reader (Routledge, 2000; 2nd ed, 2004; 3rd ed., 2012), and a theorist in the same field, most recently authoring Translation Changes Everything: Theory and Practice (Routledge, 2013). 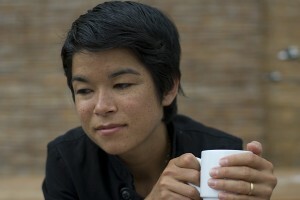 Picture by Karen Van Dyck. In this interview Montana Ray talks with poet, translator, and scholar Jennifer Scappettone about her translations and research on the Italian poet Amelia Rosselli. 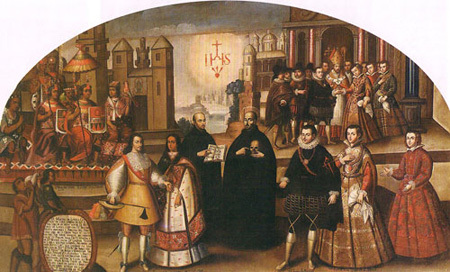 Among other things, Scappettone discusses how translation ocurrs not only between languages, but between historical periods, and how translation can be a conduit of history. Ray and Scappettone discuss the difference between the cosmopolitan and refugee experience of language aquisition, and Scappettone explains the political difference between polylingualism and the “macaronic” work of the tri-lingual Rosselli. Scappettone discusses Rosselli’s choice to write in her “father tongue,” a few of the ways Rosselli subverts the gender rules of the Italian language, and how she rendered Rosselli’s “transgendering” into English. Ray asks Scappettone about the relationship between beauty and war in Scappettone’s own poetry, and how this relationship was influenced by Rosselli’s poetics. With poems and music by: John Cage, Sun Ra Arkestra (live in Rome 1980), Amelia Rosselli, and Jennifer Scappettone. 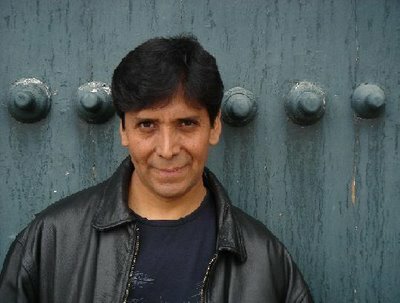 In this episode, Montana Ray speaks with poet-translator-scholar Odi Gonzales about growing up in Peru with two mother tongues and the ways in which the Quechua oral tradition of his childhood has shaped a life-long academic and artistic interest in Pre-Hispanic literatures. Gonzales discusses the contradictions inherent in the life of the white landowner and influential Quechua poet, Kilku Warak’a, and Gonzales reads from his book of Spanish translations of Warak’a’s work,Taki parwa/22 poemas quechuas de Kilku Warak’a. Gonzales also reads from his own bilingual (Quechua/Spanish) collection, Tunupa/el libro de las sirenas, which interpolates an ancient Andean myth of the generative relationship between the god Tunupa and two sirens with Gonzales’ own experiences living again in two worlds as a scholar of Andean literature at the University of Maryland. Gonzales and Ray discuss the lack of publishing opportunities for Amerindian writers and the gatherings/cities which act as points of intersection between writers working in various native languages. Odi also shares poetry from his collaboration with the Peruvian photographer Ana de Orbegoso and talks about his research into the escuela cuzqueña de pintura, an influential movement by anonymous indigenous painters of the 17th century and Gonzales’ inspiration for the book of poetry: La escuela de Cusco. Finally, Gonzales reads from this book and discusses the process of working with his English translator Lynn Levin on the bilingual version of La escuela de Cusco, Birds on a Kiswar Tree, forthcoming from Pittsburgh: Latin American Literary Review Press. With poems, translations, and songs by: Enrique Delgado y Los Destellos, Juaneco Y Su Combo, Kilku Warak’a, Odi Gonzales, Lynn Levin, and Los Teddy’s. Lynn Levin’s audio clip is included with the permission of PennSound. In this episode Montana Ray speaks with Yusef Komunyakaa, Goutam Datta, and Subodh Sarkar about exchanges between US and Bengali poets, including the anthology (edited by Datta) of African American poets translated into Bengali, “Ami Amar Mritur Por Sadhinota Chai Na” (I Do Not Want My Freedom When I Am Dead) and the Kolkata Book Fair. The writers also discuss the relationship between poetry and theater in both New York and Kolkata. And Komunyakaa discusses the praxis of stage-to-page translation of the Sumerian epic Gilgamesh. Finally, the poets discuss the Bengali language as coexisting with other languages within the context of multilingual societies, both in India and internationally. With poetry and music by Goutam Datta, Yusef Komunyakaa, Subodh Sarkar, Taj Mahal & Toumani Diabate, Paul Robeson, and Toots & The Maytals. Plus Goutam Datta’s Bengali translations of Langston Hughes’ poem “Juke Box Love Song” and Gwendolyn Brooks’ poem “The Crazy Woman.” And an excerpt from Yusef Komunyakaa’s Gilgamesh: A Verse Play performed by Actors Scene Unseen (available for purchase here). 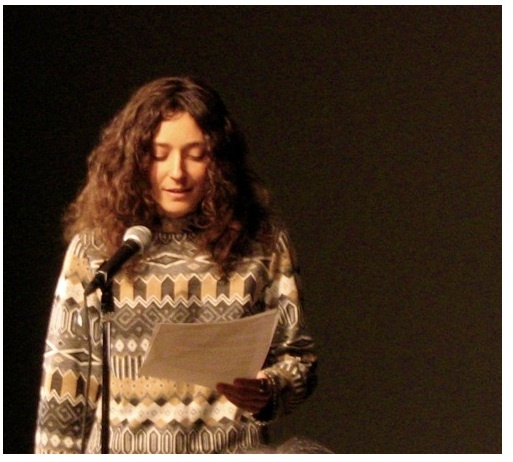 In this series Montana Ray talks with translators about their process and poetics. Ray will explore and challenge our understanding of the craft and its role in contemporary literature. With music by Cha cha, AM444, and 新裤子, plus an essay by Eliot Weinberger and poems and readings by Bei Dao and a poem by Octavio Paz with translations by Weinberger. 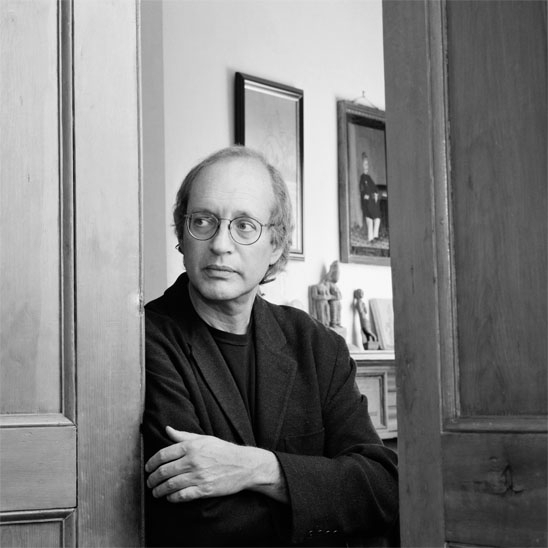 Eliot Weinberger’s books of literary essays include Karmic Traces, An Elemental Thing, and Oranges & Peanuts for Sale. His political articles are collected in What I Heard About Iraq– called by the Guardian the one antiwar “classic” of the Iraq war– and What Happened Here: Bush Chronicles. The author of a study of Chinese poetry translation,19 Ways of Looking at Wang Wei, he is the current translator of the poetry of Bei Dao, and the editor of The New Directions Anthology of Classical Chinese Poetry and a forthcoming series from the Chinese University Press of Hong Kong. Among his translations of Latin American poetry and prose are the Collected Poems of Octavio Paz, Jorge Luis Borges’ Selected Non-Fictions, Xavier Villaurrutia’s Nostalgia for Death, and Vicente Huidobro’s Altazor. A large collection, The Poems of Octavio Paz, will be published this fall. His work has been translated into thirty languages, and appears often in the New York Review of Books and the London Review of Books. Additional research by Kelly Roberts. In this episode Idra Novey talks about her translation practice, including the differences between translating prose and poetry, how she came to Clarice Lispector, and how translation relates to the act of writing. Novey also discusses the importance of an international awareness to her poetics and how a wider view of the world relates to writing politically and compassionately. With music and poems by Jorge Ben, Paulo Henriques Britto, Café Tacvba, Goutam Datta, Idra Novey, and Tim Maia. Plus Novey’s translations of Clarice Lispector and Manoel de Barros. 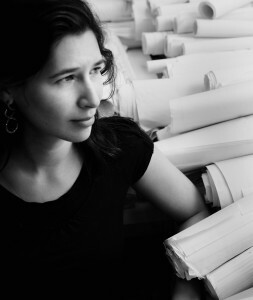 Idra Novey is the author of Exit, Civilian, a 2011 National Poetry Series Selection, and The Next Country, a finalist for the 2008 Foreword Book of the Year Award in poetry. She’s received awards from the Poetry Society of America, the National Endowment for the Arts, and the PEN Translation Fund. Her recent translations include Clarice Lispector’s novel The Passion According to G.H., forthcoming from New Directions and Penguin UK. She’s taught in the Bard College Prison Initiative, at NYU, and in Columbia University’s School of the Arts. In this episode Mónica de la Torre discusses her path to translation, how translations are packaged, how translation has influenced her writing process, the mix of high and low-brow culture in her work, her refusal to give in to domestic expectations of global culture, and how her bilingualism affects her process. She also reads from her own work and the work she has translated. With songs & poems by Chico Buarque, Mos Def, Lila Downs, João Cabral de Melo Neto, Gerardo Deniz, & Mónica de la Torre. 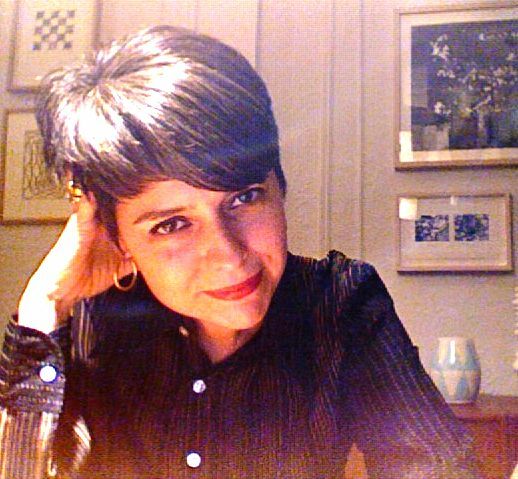 Mónica de la Torre’s poetry collections include two in English, Talk Shows (Switchback Books, 2006) and Public Domain (Roof Books, 2008), and two in Spanish, Acúfenos (Taller Ditoria, 2006) and Sociedad Anónima (UNAM/ Bonobos, 2010). She is the editor, with Michael Weigers, of the bilingual anthology Reverisible Monuments: Contemporary Mexican Poetry (Copper Canyon, 2002). Her translations from Spanish include Lila Zemborain’s Mauve Sea-Orchids (co-translated with Rosa Alcalá) and Poems by Gerardo Deniz, which she also edited. A recent collaborative book project, Taller de Mecanografía, was published in 2011 in Mexico City by Tumbona Ediciones. Four, a group of four new chapbooks, is just out from Switchback Books. She lives in Brooklyn and is senior editor at BOMB Magazine.